Sort of reminds me of CP's last visit to TX when he sought to spew his BS in McAllen who actually took the pains to advertise being the 'safest city in America'. Now I admit, I don't live in El Paso or McAllen, but if you are trying to make a point to the country about the "crisis", why would you go to a city where the residents feel safe? 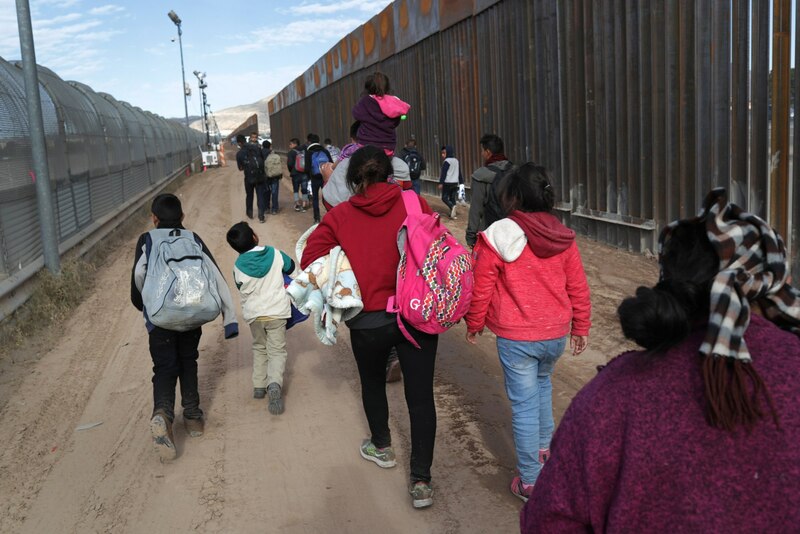 Why don't you go visit someplace on the desert where hordes of Mad Maxian vehicles are careening wildly across the "open borders" carrying their loads of drugs and duct-taped women and terrorists? Why don't you show the country all the prayer rugs left strewn about the landscape? Maybe because Celeb Prez feels there are no venues big enough to hold his base besties? The Far Right has such a growing lack of Integrity. You can have both REPUBLICAN and DEMOCRAT representatives of that city swear on a BIBLE that El Paso became a SAFE CITY well before any "barrier" was built but INDIVIDUAL-1'S base won't believe it. It is another behavior that is a characteristic of CULTS. No matter what facts are presented by those OUTSIDE THE CULT and no matter who presents those facts from OUTSIDE THE CULT, only the CULT LEADER'S version will be believed by the CULT members. Lies like trump's about El Paso "becoming safer" after a wall was built is what his supporters erroneous opinions are based on. This topic is to make people aware of that. The information in this topic is factual and clearly debunks trump's erroneous lying claim. trump supporters cling to his lies and continuously repeat them ins assorted topic about the need for trump's "Vanity Wall" and how it works so well. The truth is that it doesn't. Crime in the city, where Trump plans to hold a campaign rally Monday night, had been falling since 1993, but a border fence wasn't completed until 2009. Days ahead of the deadline for Congress to hammer out a deal on border security, President Donald Trump will campaign in El Paso, Texas — the city he falsely claimed last week had been a hotbed of crime before a wall was built. 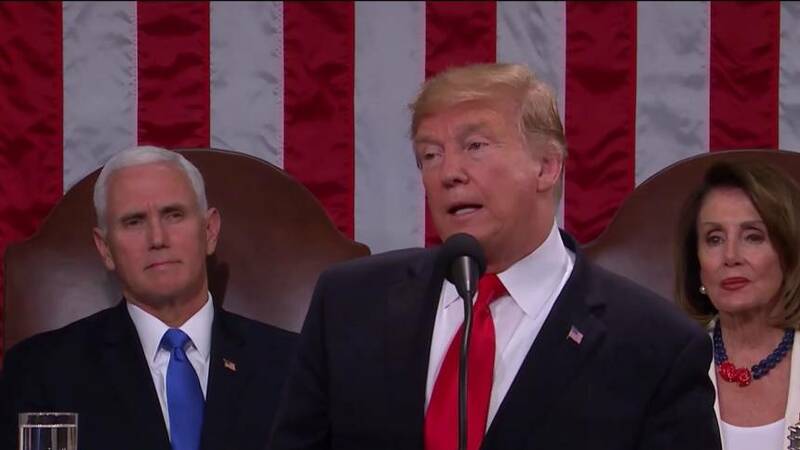 "The border city of El Paso, Texas, used to have extremely high rates of violent crime — one of the highest in the country, and considered one of our nation's most dangerous cities," Trump said in his State of the Union address Tuesday. “Now, with a powerful barrier in place, El Paso is one of our safest cities." But the statistics don't back him up, even as he heads there on Monday to press his argument that walls work. According to law enforcement data, the city had low crime rates well before a border barrier was constructed between 2008 and mid-2009. Violent crime has been dropping in El Paso since its modern-day peak in 1993 and was at historic lows before a fence was authorized by Congress in 2006. Violent crime actually ticked up during the border fence's construction and after its completion, according to police data collected by the FBI. Democratic officials immediately took issue with the picture Trump painted Tuesday night, saying the president was using their city to justify a pointless and unnecessary wall. The city's Republican mayor, Dee Margo, also sought to correct the record. "I believe he was given some misinformation," Margo told CNN in an interview, adding the idea that El Paso was a lawless and dangerous place before fencing was built is "not factually correct." Margo said he'd correct the president if he reiterated falsehoods about El Paso on Monday. “The geography of Texas won’t allow a fence from El Paso to Brownsville even if you wanted to do it,” Margo said. 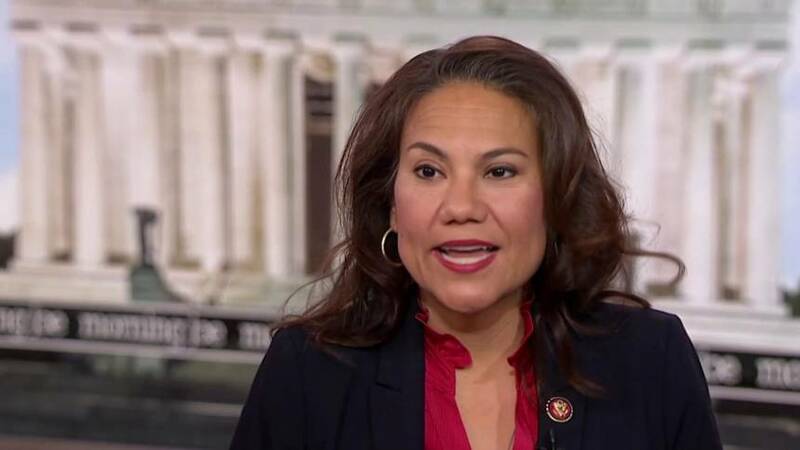 Rep. Veronica Escobar, D-Texas, who represents El Paso, called the president’s remarks about her district “troubling” in an interview on MSNBC's "Morning Joe" last week before writing Trump a letter asking him to apologize and correct the record.